It was one of those days when the world was supposed to come to an end. The planets had achieved the crucial alignment, the ancient prophecies were being fulfilled, and psychics confirmed this would be the turning point. Hordes of people were rushing to safety at spiritual power places around the globe. Others had gone on shopping sprees and run up huge credit card bills after being advised the world economic system was going to crash. Others said goodbye to nonbeliever loved ones. This was it. In my many travels I have been blessed to visit some of the most sacred sites in the world: the Pyramids of Giza, Machu Picchu, the vortices of Sedona, Mt. Shasta, Mt. Fuji, Jerusalem and more. I have immensely enjoyed all of these pilgrimages and felt blessed to connect with the energies there. They are all truly wondrous. Hmmm. The Course is telling us that because we are spiritual beings at our core, it is the state of our spirit, not geography, that empowers us and makes us safe. Any place where we recognize the presence of God is a power place, which includes right where we stand. The Course also tells us that the fastest route to enlightenment is through elevating our relationships and choosing love where we once chose fear. When you achieve a healing in a relationship and you replace judgment with forgiveness, you are standing on the holiest spot on earth. The ego prescribes horizontal or geographical cures for our pain. If we just changed our relationship partner, job, or living situation, all would be well. But if you leave a job or relationship without healing the issues that caused you to want to leave, you will just recreate the same situation. Effective changes in the outer world must be preceded by changes in mind, heart and attitude. When we achieve inner healing, outer changes flow naturally and organically, with the least effort and no stress. 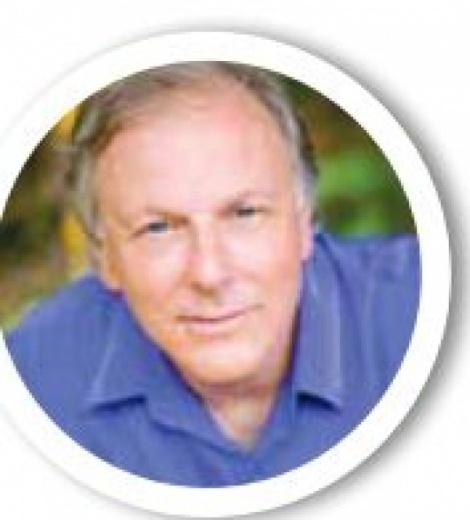 Alan Cohen is the author of many popular inspirational books, including the bestselling A Course in Miracles Made Easy. Become a certified professional life coach through Alan’s popular Life Coach Training beginning September 1. For more information about this program, Alan’s books and videos, free daily inspirational quotes, online courses, and weekly radio show, visit www.alancohen. com.